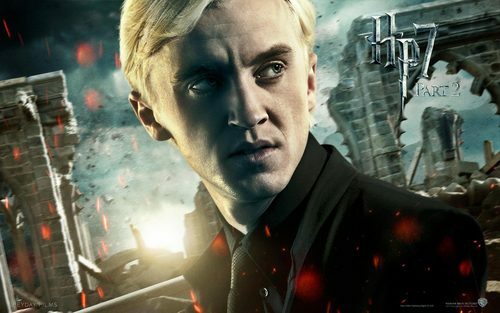 Deathly Hallows Part II Official karatasi za kupamba ukuta. . HD Wallpaper and background images in the Drago Malfoy club tagged: draco malfoy malfoy draco tom felton slytherin. This Drago Malfoy wallpaper might contain suti biashara and biashara suti.